The tree above is a Loquat, or Eriobotrya japonica. 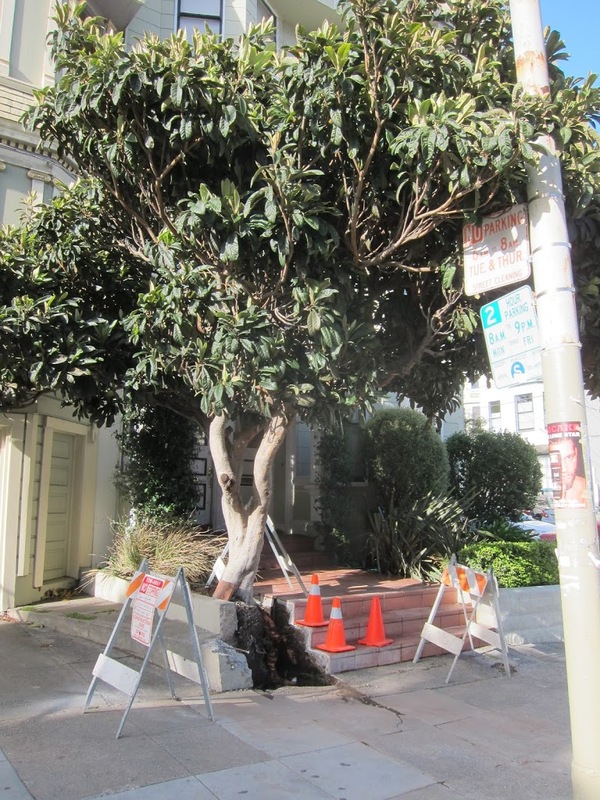 It’s not a common street tree in San Francisco, but closely related to the Bronze Loquat which is a common street tree. Both are evergreen, slow to moderate growers. When the above tree was planted the person who planted it never considered the problems that would incur down the line when the tree outgrew the small space. The roots have cracked the foundation and buckled the sidewalk because they are not getting enough oxygen. Further inspection shows that the ground has poor drainage (below). After the contractor removed the concrete he hosed off the mess. Several hours later I passed by and noticed that the water was still pooled up at the base of the tree. This is not surprising since Mission Creek runs under 18th street. Loquats like good drainage. These roots pushed up the pavement because they were growing where they could get oxygen, at the surface of the soil. The concrete contractor did a poor job of working around the roots. He put several gouges in the roots that will add stress to the tree. This is not surprising since it was not his area of expertise. 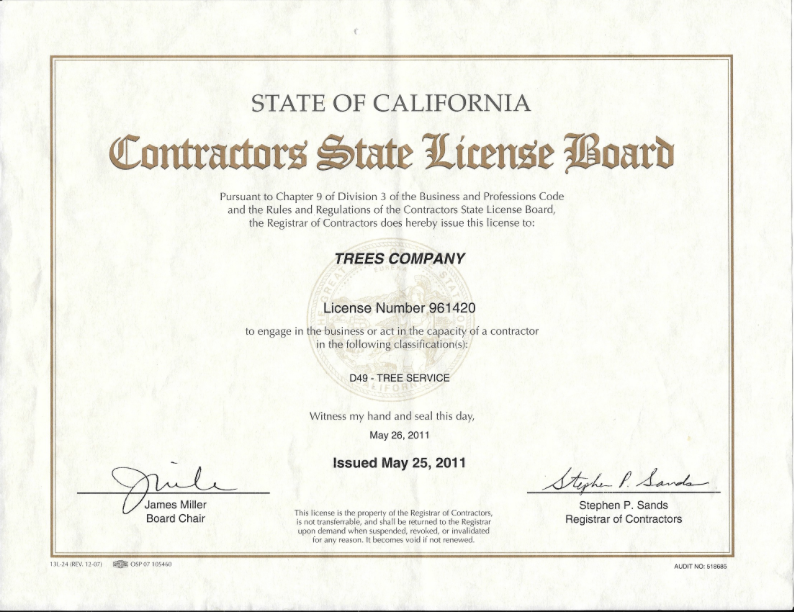 The owners of this tree inherited it with the purchase of the house. 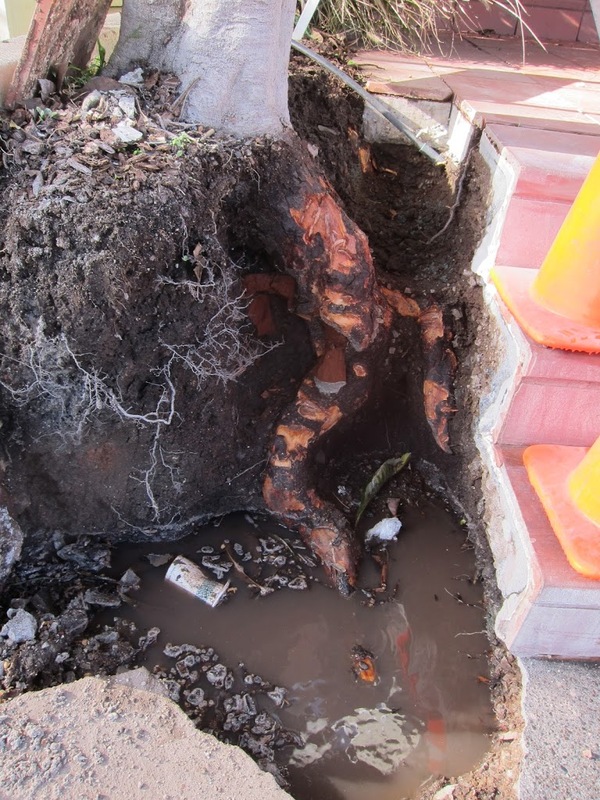 They want to keep the tree, but they should have hired an arborist to monitor the roots during the concrete demolition. I hope this tree makes it. I’ll keep you all posted. I enjoy pruning Loquat trees. The fruit which ripens in the fall is attractive to birds and delicious to arborists. 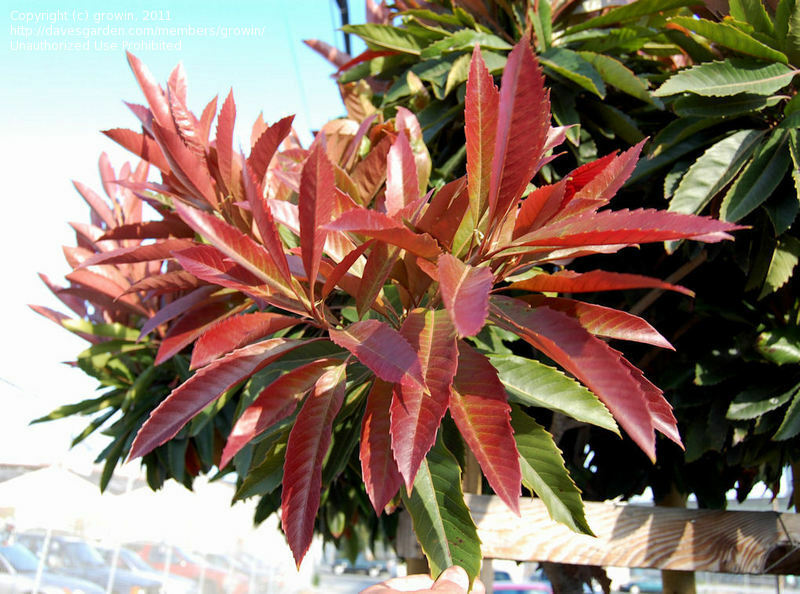 The Bronze Loquat, Eriobotrya deflexa, makes a great street tree. Its new foliage in the spring has a crimson hue. The Bronze Loquat, however, rarely produces fruit. In the picture below see how the bronze leaves beautifully echo the color in the house’s facade.